The Girl of Steel breaks into the DC Gallery line of PVC statues with this dynamic sculpture of Kara Zor-El! 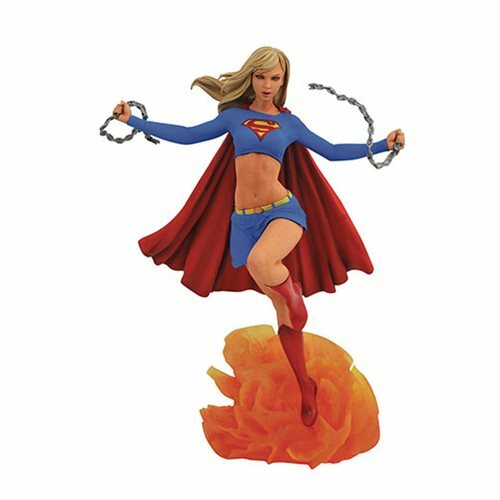 Shattering a set of chains, Supergirl flies out of an explosion and onto your shelf in a 10-inch tall diorama by James Marsano based on a design by Caesar. This DC Comic Gallery Supergirl Statue features detailed paint applications and comes packaged in a full-color window box.